You probably think this is about getting around the parks, and it almost was! But, I decided it’s time to look at some of the workings of the attractions. So, today, in this installment of the ABCs of Walt Disney World, we will be looking at some of the ride VEHICLES that bring some of the great memories of being a guest at any of the four theme parks. Today, I’m starting at Disney’s Animal Kingdom! There are two obvious ride vehicles that jump to mind, and maybe a third, when you think of this park. Kilimanjaro Safaris offers a ride through the African savanna in an open-air vehicle that allows you some unique views of the animals as they make their way around their habitats. It’s a bit of a rough ride, but it seems quite realistic! What goes up, comes down…FAST!! 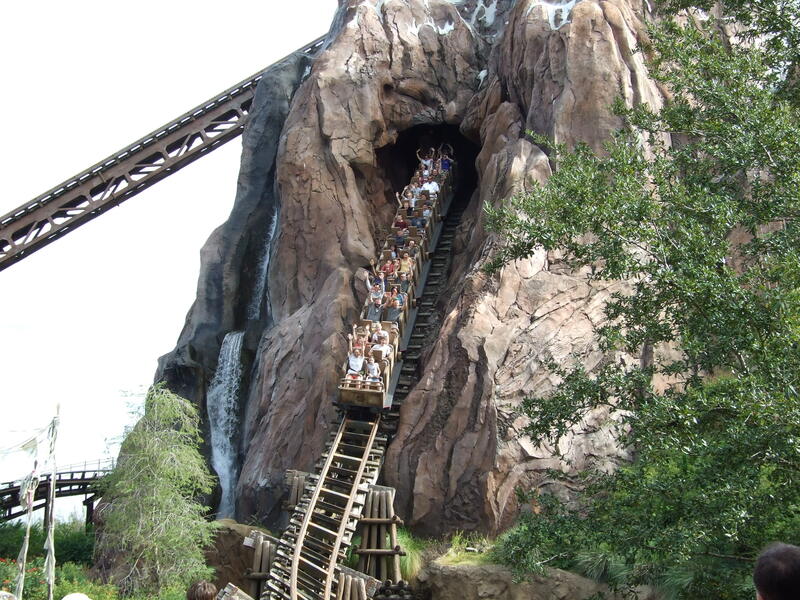 Expedition Everest is a ‘train’ ride through the Himalayan Mountain Range. The cars are a big part of the show offered on what may be the Big Kahuna of thrill rides at WDW! It’s my wife’s favorite! One other worth mentioning is, DINOSAUR! The cars themselves aren’t much to think about, but the way they respond, is all part of the attraction! Each car has pre-programmed reactions to each scene within this dark ride. And, it is very realistic as you make your way through this pre-historic jungle. Overall, it’s an exciting adventure! 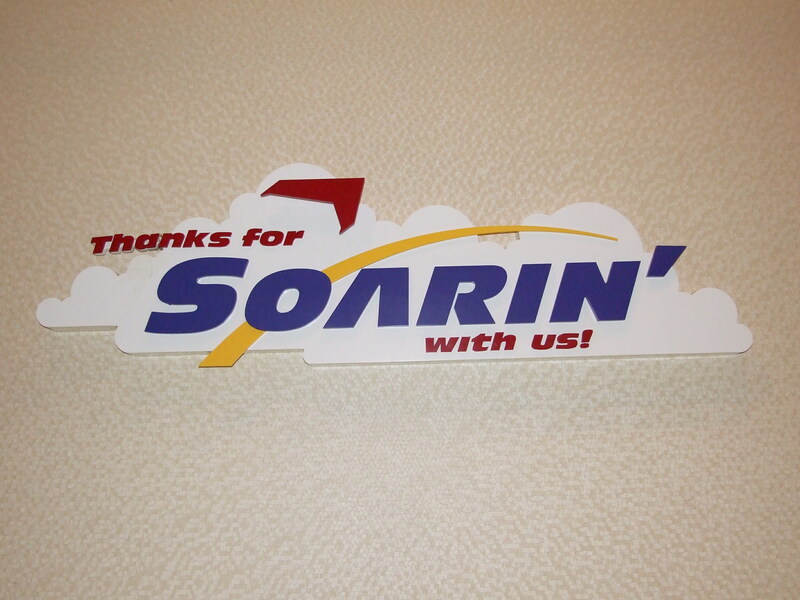 At EPCOT, the most memorable ride vehicle is probably SOARIN’! The unique experience offered on this ride it something to behold! The actual vehicle is set up on a cantilever type structure that swings you up in front of an IMAX screen and you have the feeling of floating, flying, and soaring through the sky over various scenes in California. You even get the smells to go with the ride! Hollywood Studios has Tower of Terror. You may not think of this as a vehicle driven ride, but I believe it qualifies! You are taken for a little tour before the doors open and you suddenly begin to drop several times and at different paces. But, it’s not an actual elevator, it is a carefully designed and skillfully programmed ride to give you the thrills that keep you coming back time after time. And now, the Magic Kingdom! Probably some of the most loved and memorable ride vehicles are here! For me, the obvious first one to look at is the Tomorrowland Transit Authority, or Peoplemover! Who doesn’t enjoy a round (or two) on here? It’s a way to kick back, relax, and enjoy a different view of Tomorrowland attractions. One question, can someone tell me if they tend to turn up the juice on this thing when it’s busy? My last ride kind of messed up my hair! Pirates of the Caribbean has the look of a pirate longboat for this classic Disney ride. It is one of the most popular rides in The Magic Kingdom, and a crowd favorite! And, since the movies have come out, some of the scenes have been enhanced with the presence of your favorite pirates. Pooh has a Honey Pot, Peter Pan has a flying pirate ship, Big Thunder uses another train type car. But, the one everyone is waiting for is coming soon! The Seven Dwarf’s Mine Coaster offers the most unique ride vehicle created to date! Each car is different! Not only are there the normal bumps along the way, but the cars will sway side to side as well. There will be some of the familiar scenes from the movie (or so we have been led to believe) throughout the ride. I don’t know about anyone else, but I can’t wait for this one! Hopefully, it will open to guests this spring. Well, there are many more, but I don’t want to go on forever! So, I wish you a Blessed and Magical Day, my friends!